Arjo/Maine alleged romance, confirmed sa 'GGV'? Did "GGV's" Lie Detector Test just give away Arjo Atayde's love life? 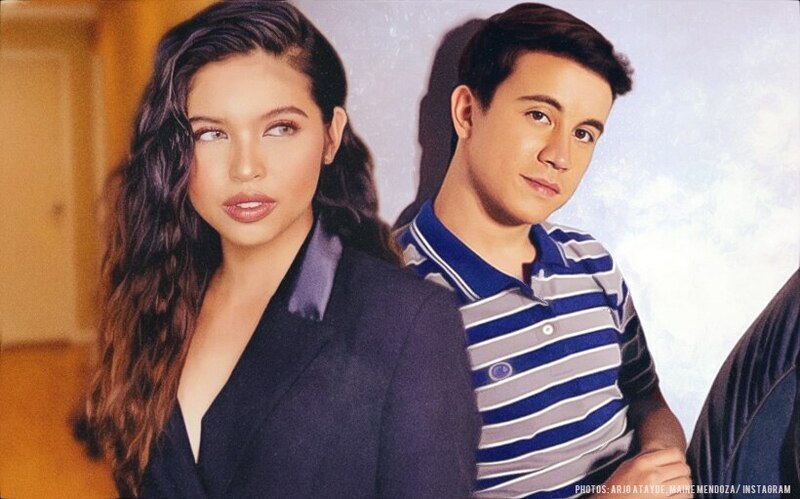 Arjo Atayde might have just given away the true state of his alleged romance with Maine Mendoza. Rumors about the pair started way back in 2018 when they were seen together multiple times in "paparazzi" photos, sparking quite the controversy online. This was addressed in "Gandang Gabi Vice" last Sunday, January 20, when Arjo took part of Vice Ganda's famous "Kuryentanong" Lie Detector Test with his "The General's Daughter" co-stars JC de Vera and Angel Locsin. "Mag-jowa na ba kayo ni Maine Mendoza? Yes or no?" Vice asked him. Siyempre, nakuryente si Arjo. However, it is of note that the Kuryentanong apparatus has been grounding people the whole night, so do what you will with that information. What's your take on the Arjo/Maine romance? We're shipping pretty hard. Sound off in the comments section down below! "The General's Daughter" is one of the most-anticipated series of 2019. It aired its pilot episode on Primetime Bida last Monday, January 21. It will mark the Action Drama Queen's return to television after five years. She last headlined the hugely successful "The Legal Wife".